Cerebral palsy affects movement in different ways that only appear as kids develop. Wanting to allow Lara to enjoy the same things as other kids her age, her family has lovingly devoted their lives to her support and care. But they’ve only been able to do this through the generous donations of kind people like you, who support Variety to help kids. Lara’s mum Kim and dad Peter called on Variety when Lara was 4 ½. Lifting her and her wheelc hair in and out of their car was getting much harder as she grew. A $4,000 grant helped them convert their car so she could travel in it in her wheelchair. 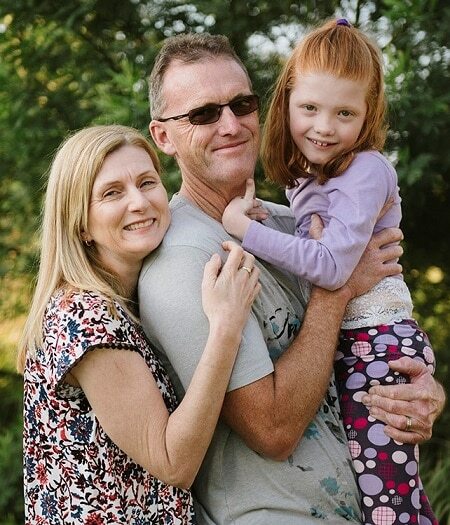 Recently, a $13,000 Variety grant also paid for a new manual wheelchair for Lara, and her parents were so happy and relieved they were both nearly in tears. Lara needs her manual wheelchair to go everywhere that she can’t go in her heavy and wide electric wheelchair. Like the park, shopping, and visiting family and friends. Lara loves that her wheelchair is her favourite colour – purple. She says it’s comfortable and she’s enjoying going to the shops in it, to see Hi-5 and visit her Nana’s.